Here is some basic information about what self-determination means, as well as explaining what your rights and responsibilities are. It also includes some sample handbooks explaining how self-directed supports work in different communities in Wisconsin. Making Dreams a Reality: Using Personal Networks to Achieve Goals as You Prepare to Leave High School. How can a personal network help you develop self-determination? Self-Determination Series – Express Yourself! Assessing Self-Determination In Your Life.One section in a four-part series from University of Illinois-Chicago. Workbook format. This was written for people with mental illness, but anyone can use it. A “fiscal agent” or a “fiscal intermediary” is someone who can help you manage the money that pays for your supports and services. This person can also help you fill out the payroll and tax forms for your employees and make sure they get paid. 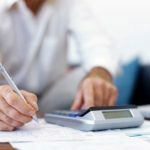 Fact Sheet: Hiring a Fiscal Agent (Hennepin County, MN) – How fiscal agents can help you handle your tax-related issues. 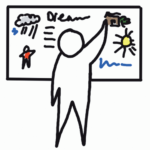 Person-Centered Planning is a way of thinking about people that respects their interests, hopes, dreams, and desires. It is a process of discussion and self-evaluation in which a person discovers how he or she wants to live, and the person’s friends help explore what needs to be done to reach these goals. Member Centered Planning Guide (Milwaukee County, WI) – This brochure briefly describes how member-centered planning is a part of Family Care and how you can be involved. Self-Determination Series – This Is Your Life! Creating Your Self-Directed Life Plan. One section in a four-part series from University of Illinois-Chicago. Workbook format. This was written specifically for people with mental illness, but anyone can use it. Sometimes they’re Personal Care Attendants (PCAs). Sometimes they’re Direct Service Professionals (DSPs). Sometimes they’re Providers. No matter what you call them, the staff who you hire can give you the support and assistance you need to lead a fulfilling and self-determined life. Your employment structure (co-employer, employer of record, fiscal agent & fiscal intermediaries); rights and responsibilities of being an employer; worker’s compensation insurance. Information for Employers (Wisconsin) – The Department of Workforce Development web site includes these sections: Finding Workers, What Employers Need to Know, and Resources for Employers. Understanding The Connecticut DMR Home and Community Based Services Waivers: An Introduction to Your Hiring Choices (Connecticut) – Although written for Connecticut citizens, this manual includes helpful information about hiring and supervising your own support staff. Independent advice and support to help you direct your own services. Sample Support Broker Job Description from Dane County, WI. Transition Health Care Tips (Kentucky) – Although these tips were originally developed for transition-aged youth, they are helpful for everyone. Finding and Using Adult Health Care (Kentucky) – Although this handout was originally developed for transition-aged youth, it’s helpful for everyone. Evaluating Your Agency and Its Services: A Checklist for Job Seekers with Disabilities – This article provides a checklist that you can use to decide which employment support agency is the right one for you. Networking: A Consumer Guide to an Effective Job Search – This article explains how to use networking in your job search. Quality Employment Services: Will You Know It When You See It? – This article will help you determine if you are getting what you need from your employment services and what your choices are. Show Me the Money: Flexible funding for job success – How does flexible funding help you keep and find the jobs you want? Starting with Me: A Guide to Person-Centered Planning for Job Seekers – This guide reviews a three-stage career development process. Career development is an approach to help you make satisfying job choices. 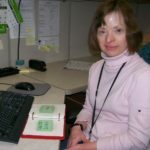 Four Strategies to Find a Good Job: Advice from Job Seekers with Disabilities – How do you find a good job? This article will give you some ideas! Movin’ Out, Inc. is a housing organization providing information and assistance, housing counseling, and gap financing for purchase and rehabilitation to Wisconsin households with a member who has a permanent disability.